Give the gift of Fiordland this Christmas! 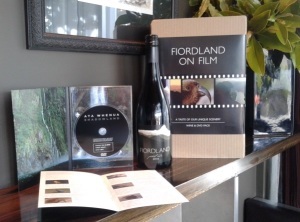 Ready packed for safe delivery around the world, send a taste of our local beauty in the form of our “Ata Whenua” Fiordland on Film DVD along with a bottle of our luscious Fiordland Pinot Noir. Available for purchase from both the Black Dog Bar and Fiordland Cinema!